Traveling west on I86 W / NY-17 W / NY-15 N / SOUTHERN TIER EXPY., take the CR-333 exit (Exit 41). At the bottom of the ramp, turn left onto CR-333, In the center of town, go straight through the stop sign. You will now be on County Route 125. Go about 3 blocks. End at 8455 CR-125. The school will be on your right. Traveling east on I86 E / NY-17 E / NY-15 S / SOUTHERN TIER EXPY., take the CR-333 exit (Exit 41). At the bottom of the ramp, turn right onto CR-333, In the center of town, go straight through the stop sign. You will now be on County Route 125. Go about 3 blocks. Here's a map that should better assist you in getting to our Jr./Sr. High School. Click on the image below to enlarge it. Traveling west on I86 W / NY-17 W / NY-15 N / SOUTHERN TIER EXPY., and then take the RT-226 exit (Exit 40) toward Savona. 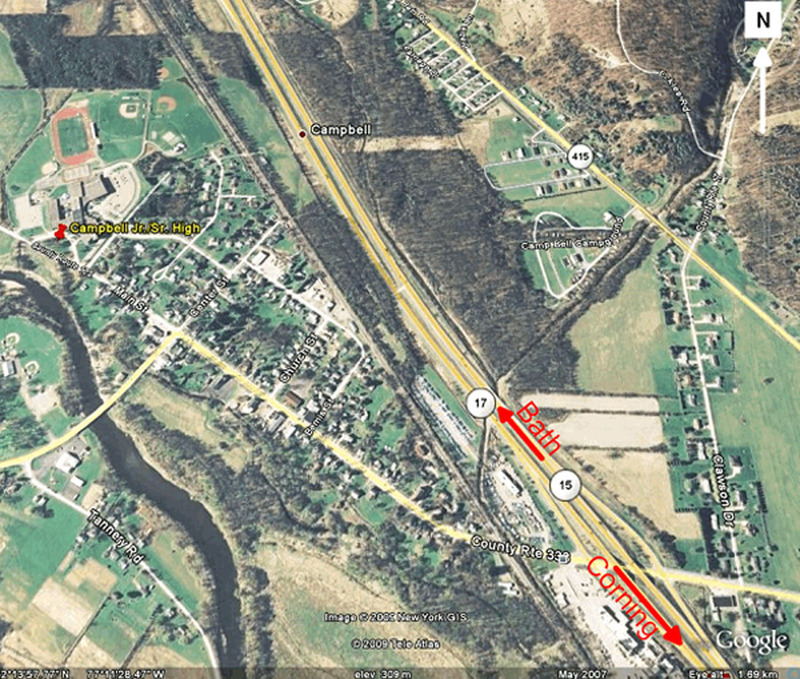 Turn right onto NY-226 / CR-12 W / Lamoka Ave.
End at 64 E. Lamoka Ave. The school will be on your right. Traveling east on I86 E / NY-17 E / NY-15 S / SOUTHERN TIER EXPY., and then take the RT-226 exit (Exit 40) toward Savona. Turn left onto RT-226 / CR-12 / W. Lamoka Ave. 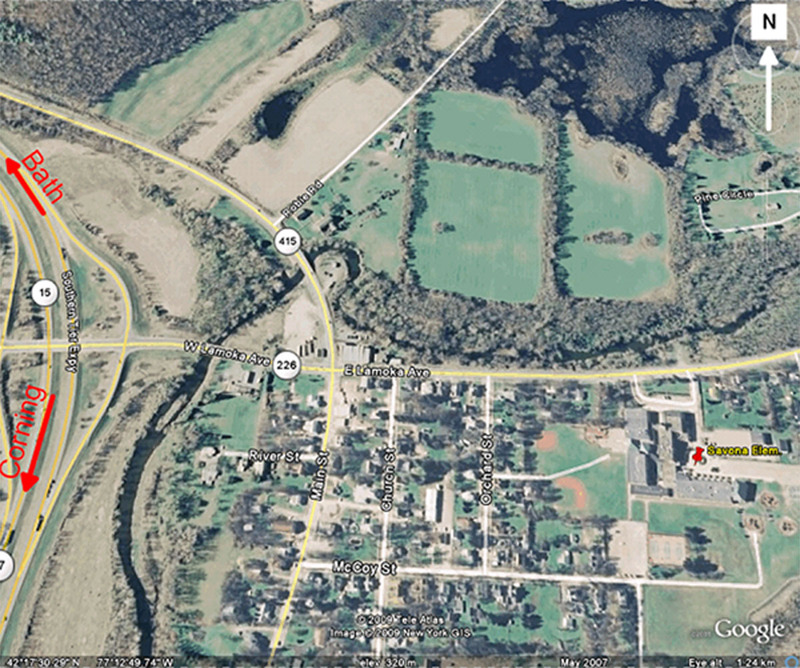 Here's a map that should better assist you in getting to our Elementary School. Click on the image below to enlarge it.